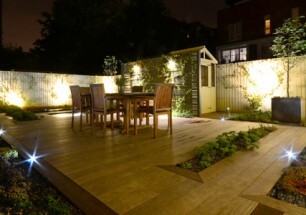 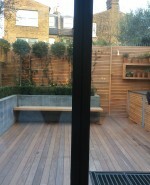 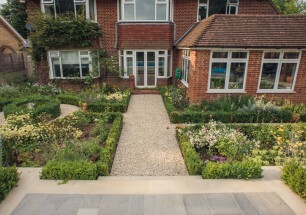 A small back garden of a recently refurbished Edwardian house that offers privacy and functionality with a contemporary structured look in a high-detail finish. 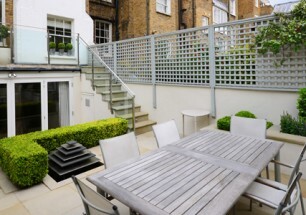 This modern space invites you to enjoy both its practicality and tranquillity. 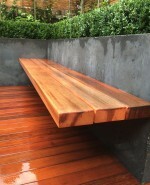 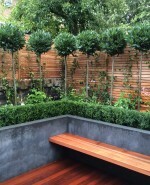 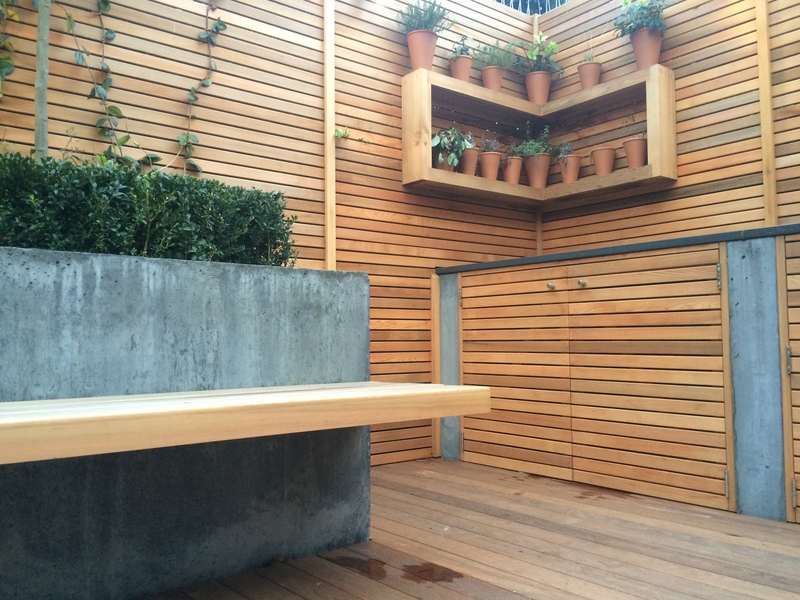 A cantilevered cedar bench floats against a pigmented finish concrete wall between Ipe decking and formal, structured planting, while exposed brickwork remains as a reminder of its former self. 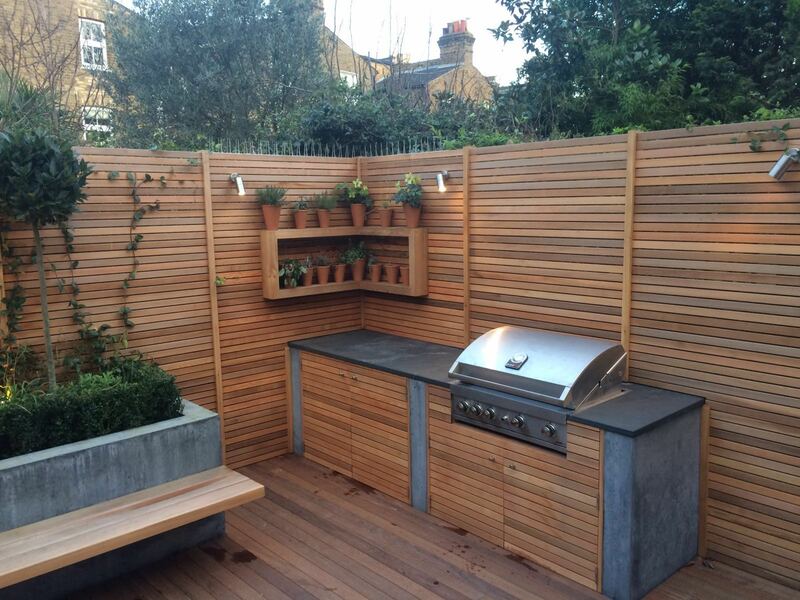 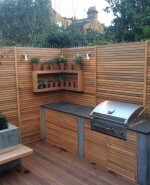 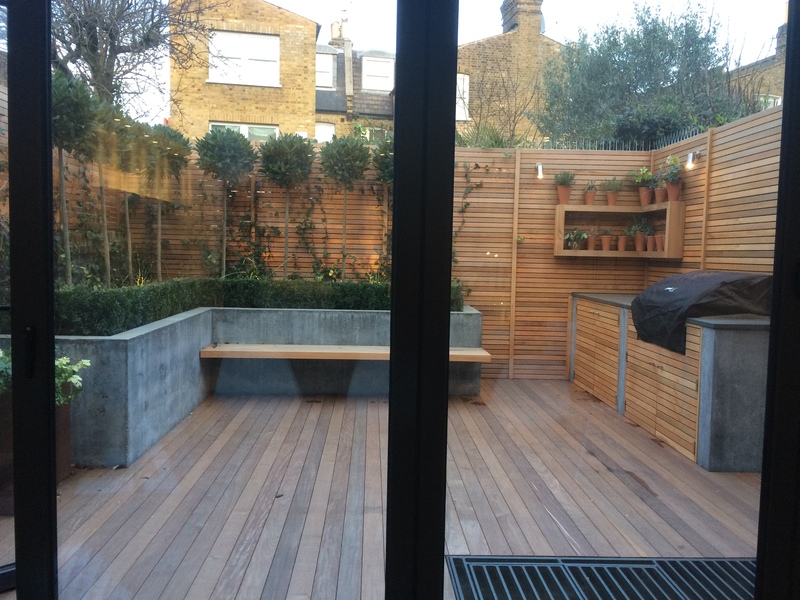 The kitchenette combines the same cedar and polished concrete with Welsh slate counter-tops and a bespoke barbecue unit, transforming the garden into an entertainment area. 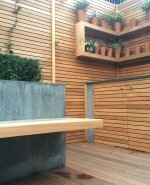 From a bespoke corner shelving unit, a potted herb garden looks on. 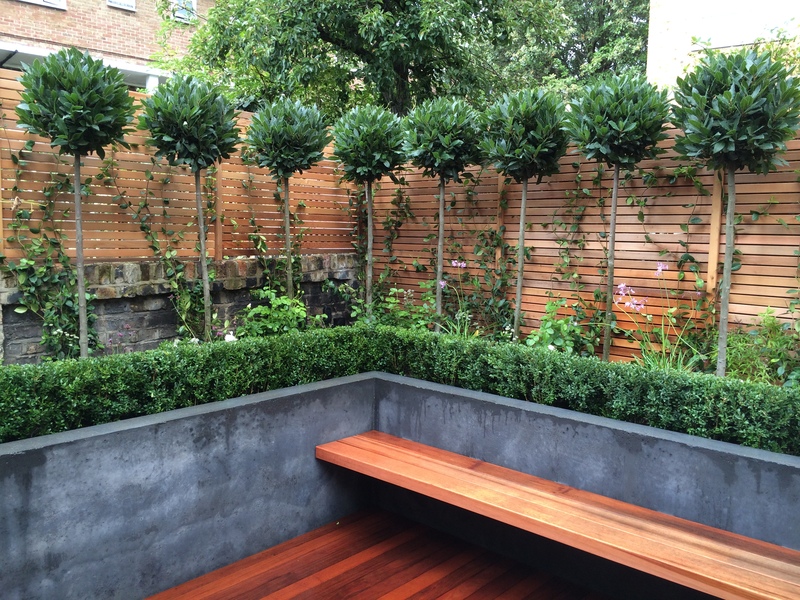 With the focus on privacy, this small back garden extends from the interior into a place for quiet reflection or for entertainment on brighter days.